Carl's AMAZING Introduction - I'm Back! Re: Carl's AMAZING Introduction - I'm Back! Disclaimer, I'm really drunk right now. I do apologize for any potential misspellings. Drunk dub hates them as much as sober dub does, I can assure you, no matter how far gone he is. Okay, so, I finished reading this thing and you totally left me out when talking about the founders: "some amazing people here. Ryan, Sadaar, Deborah our founding clan leader". Gah! Point is, welcome back Carl. I realize the community's, well, not that huge anymore, but a few of us are still around. I'm glad to see you're here. You sure used to post a lot, feel free to do that again! I won't mind. Shy will probably keep up with you in games though... I never understood how she did that. I like Dub's response more than the intro. Alright nah that was alright. A little upset you're using your TTVIP signature, but I'll allow it. VIP RIP. I also feel you used pictures to make it seem like you have a long intro. However, according to my count, you had 683 words. I had 676. So you had get a +7 amazing stat. Well done! Okay so first, welcome back Carl!!! You probably don't know me, been a member of NB now for 2 years for what its worth. My name is Aaron and I am in my 4th year of Civil Engineering. Been tapping since December of 2010 and if the game was still going I would love just as much, if not more than when I was playing. Secondly I cannot go past what you said about the massive parties. 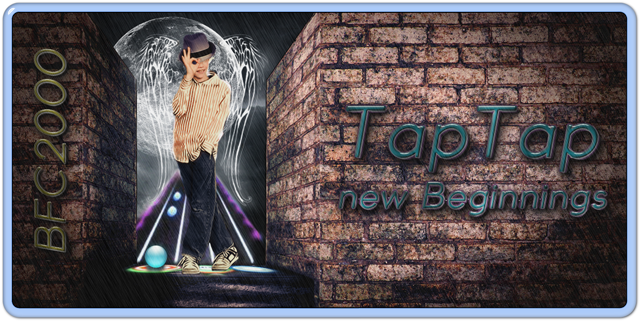 Unfortunately I think I was a bit late when joining the clan and tap tap community scene. Joined VIP about 6 months before it died. So to hear and see that there was not just 50+ people in a room for parties, but HUNDREDS of players at one time, completely blows my mind. It makes me both sad and happy. Sad because I missed out on it, but happy because it reminds of the good old days of actually being able to play online and knowing that there was that much love for the game in the community back then, really makes me think back to those days. Where I was up late every night playing TTR3 and then 4 for hours on end getting better every day. I still play TTR4 every now and then, its not the same, but I will always love it no matter what. Okay fine Dub! You aren't forgotten xD. Glad to see you're still here! I used my VIP one since I lost my TTNB one Ryan . I'll keep looking to find! If I my ask, what was this bet that propelled Carl to Sapphire? I'm curious. Also, being in a similar state right now (though, not quite as poor), I do apologize for moving your thread around a few days ago. Granted, no one probably noticed, but I feel kind of silly about it. It was certainly an avoidable mistake. I suppose I learned a lesson from that, but still. My bad. And Dub's font size is ridiculous, he's doing it to troll me. Thanks OMG I keep forgetting to log onto here. Life gets so busy sometimes.